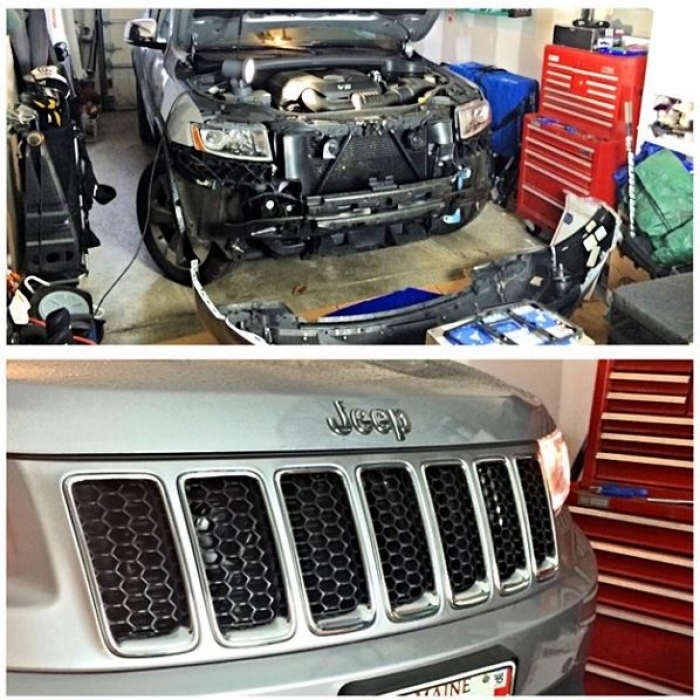 Choose genuine Mopar replacement exterior parts from JustforJeeps.com to keep your Jeep's authentic look. 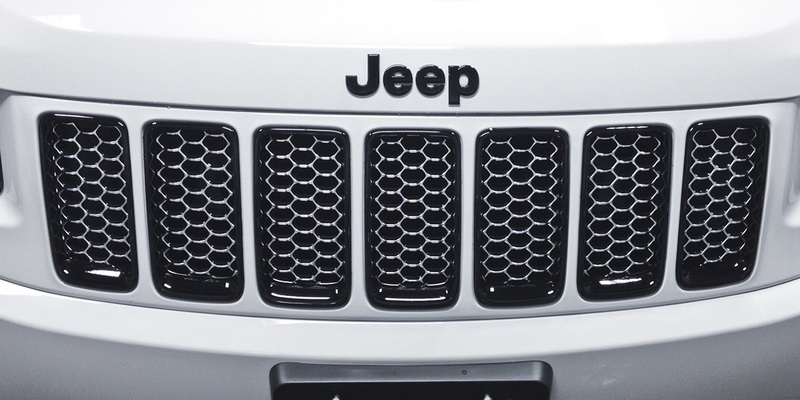 These black honeycomb grill inserts (Item # 68143074AD) are standard equipment on the 2014-2016 Jeep Grand Cherokee Overland and SRT8 models. For more contrast, match them up with the chrome grill rings (Item # 68227779AA - sold separately). 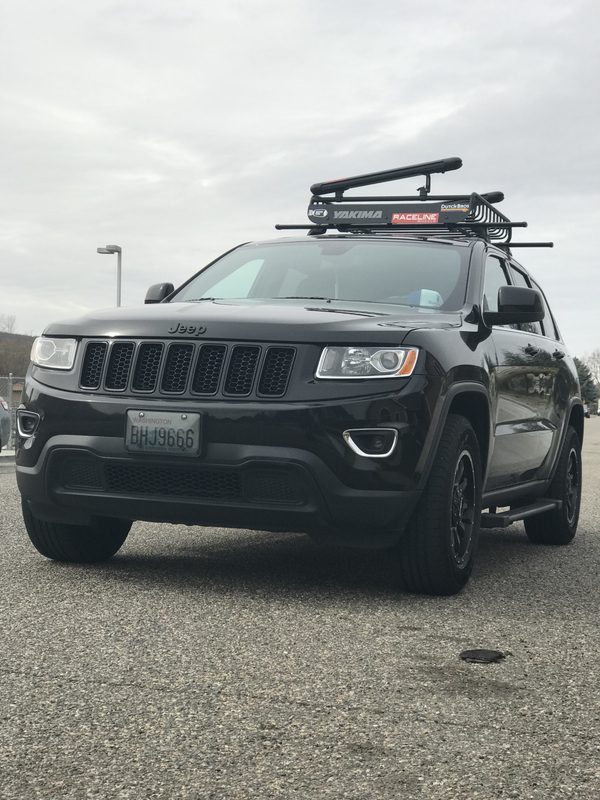 Take advantage of JustforJeeps.com' full line of exterior parts and accessories at sale prices to dress up the appearance of your Jeep. Looks so much better !!! I just installed my new honeycomb grill and its looks so much better !!! Went through the top for the install. Long sleeve sweatshirt helped a lot. Shipped quick and makes the front end look much better on my 14' limited. Corey S. Director of Parts Operations emailed all instructions upon request as well as the you-tube video for installation. Easy as pie and so quick to drop the bumper and replace! Proslooks much better, perfect fit, easy install once bumper is off. ConsEasier to take bumper off but was very simple. 1hr max for whole project. This product worked great! I installed it onto my 2016 Jeep Grand Cherokee, it only took about two hours. I would defiantly recommend this grill, it makes my jeep look much better! 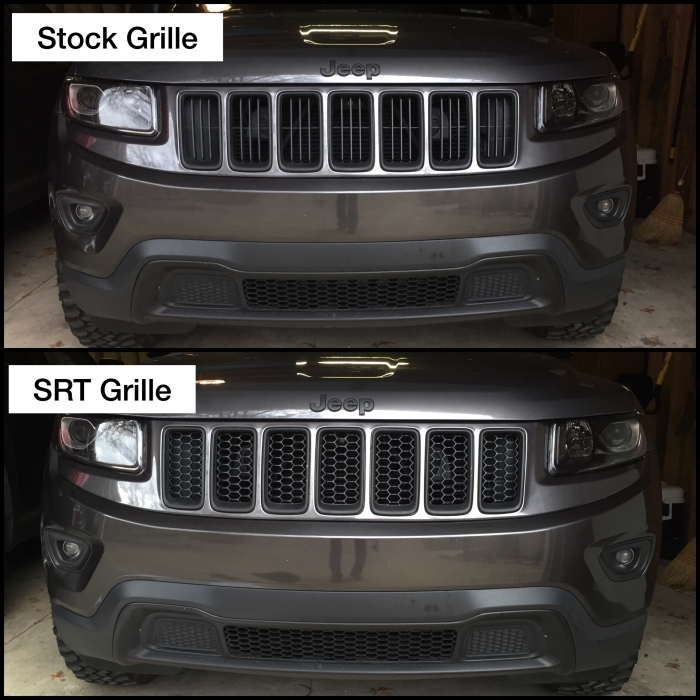 These grill inserts fit perfectly in my my 2016 Jeep Grand Cherokee limited grill. They really pulled the look of my jeep together. This product was exactly what my car needed for a reasonable prices! 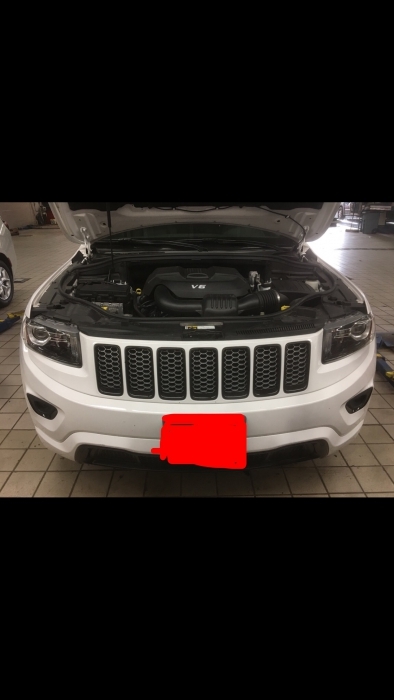 I own a 15 Grand Cherokee altitude, I had no issues installing it and it came in perfect condition. OEM part that was easy to install and fit perfect. Definitely recommend this for an easy improvement to the look of your GC! One thing to be aware of though. I knew I'd have to replace the plastic rivits and buttons that hold the bumber and trim pieces on, but if you want factory clips they're pricey!!! Spent almost as much on them as I did the inserts themselves! I know you can get generic ones from parts places, but for these items there's no fit like original. Very satisfied regardless. Super fast handling and faster then estimated shipping too!! The inserts arrived one day early and were well packaged. After looking at pros and cons of the two installation options I opted to remove the bumper. I used YouTube for instructions. Using trim removal tools, removing the bumper was fairly easy and I was able to do it without breaking any of the retaining clips. 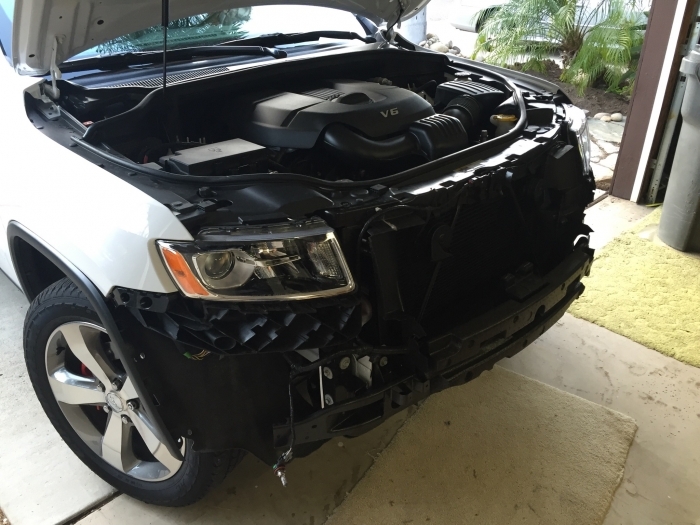 In my experience getting the standard grill inserts out was the hardest part, even with the bumper off. It took a lot of prying to get these out without breaking any of the clips. Installing the new grill inserts is simple: they just click in place. Putting the bumper back on was simple, just reversing the first step. The result is great. The car looks so much better with the honeycomb inserts. 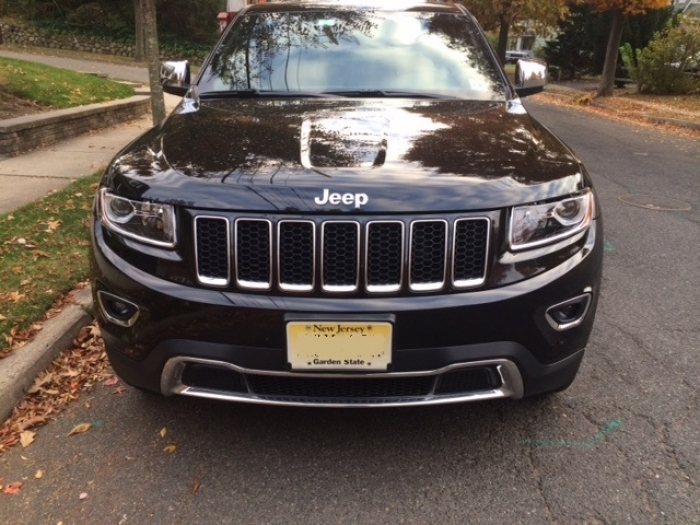 Fit perfectly on my 2015 Jeep Grand Cherokee Limited. Fairly easy install thanks to Youtube. Looks great after a fairly easy install. I took the bumper cover off to access the pieces. Not sure how it would be possible to do otherwise. Not a big deal. Look for tube video for tips. Took a little longer to install than expected but what car part doesn't?! Love the way it looks. Much better than the stock vertical slot grille. Removal of old inserts is a bit of a pain, but the black looks so much better on my Altitude ( should have came this way). Easy to install, looks great! 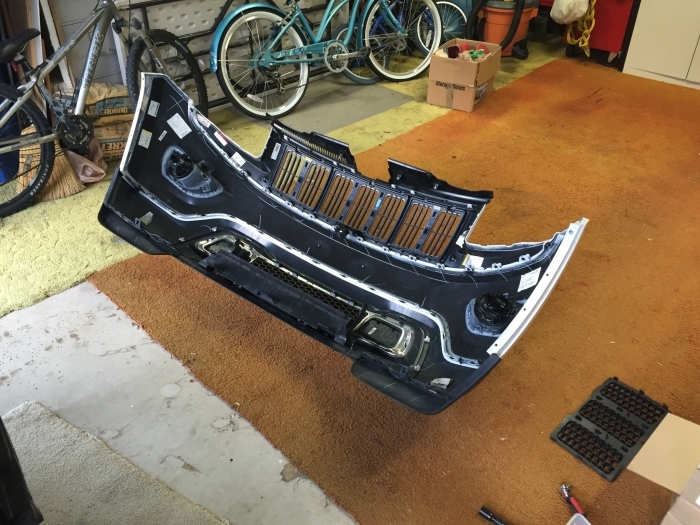 If you remove the bumper/grill this will be a piece of cake to install. Fast shipping as usual from Justforjeeps. I had a chrome honeycomb grill but wanted it black to complete my blackout look. This was exactly what I needed for a very good price compared to other alternatives. ConsHas only a matte look rather than polished finished. While I would love to find black billet bars, they just aren't available. This is pretty nice looking upgrade. Simple install. I did not remove the bumper, so I had a bit of a hard time getting the old grill inserts out. But once that was done, this was simple and straight forward. ConsNot what I would calle "super" custom. 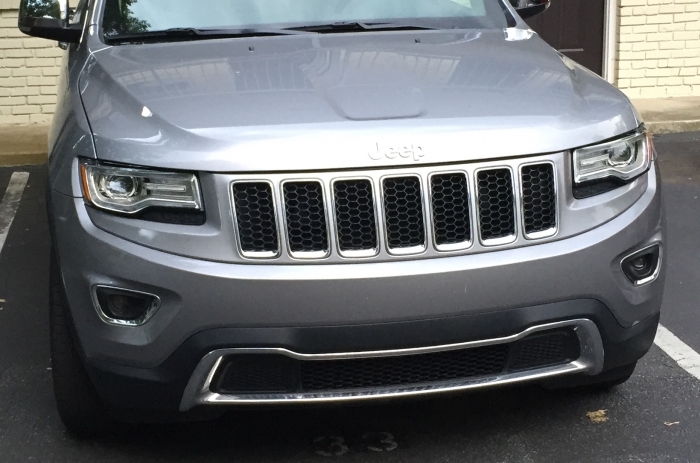 Took me about 45 min in total to install I have the all black 2014 Altitude Jeep Grand Cherokee and it really bothered me that the grill inserts were chrome. Great Service, Fast Shipping, Great Product. Like others I didn't take off the bumper I went from the top I did scracth up my hands a little bit I would recomendd wearing work gloves but overall Great Product Great Price!!! If you want a cheap way to distinguish your Jeep while also upgrading it buy this product! It took my custom shop about 45 min to put it on. They only charged me $35. That's under a $100 for everything. I don't know of many other upgrades you can get for that kind of money. Honestly, I love my grill inserts so much I would have paid $200 for everything. 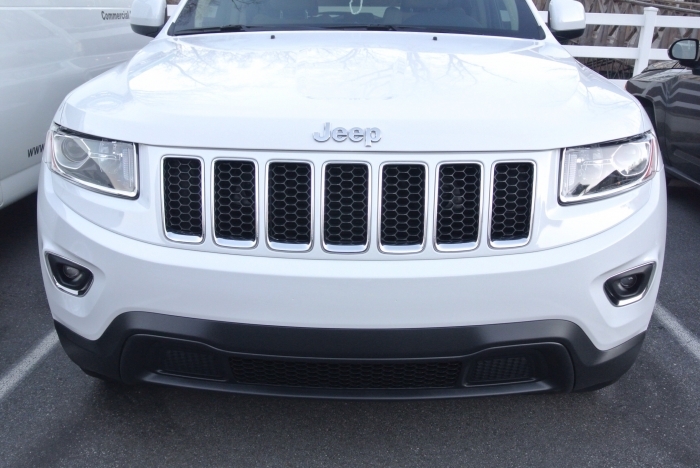 Inexpensive and easy to install in the grand cherokee. 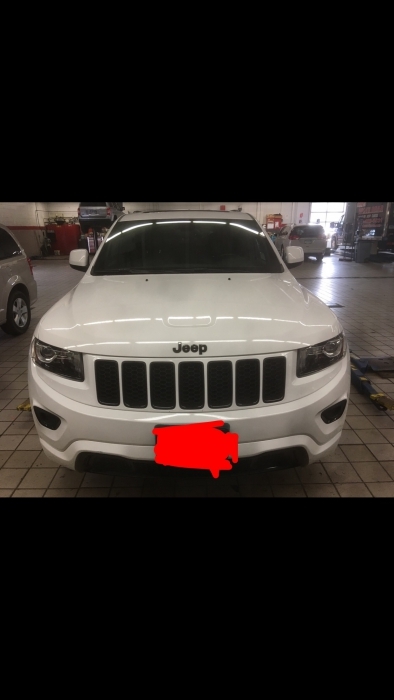 I will make all the conversion in a srt8 to my jeep, and this was the first step for that. Great product and the service was excellent! Installed without taking off bumper. Its tough, you'll get cut up, but doable.